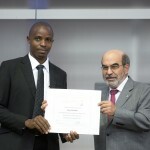 FAO Director-General José Graziano da Silva awards Mr. Onan Mulumba for his outstanding contribution to the Research4Life Library Competition. 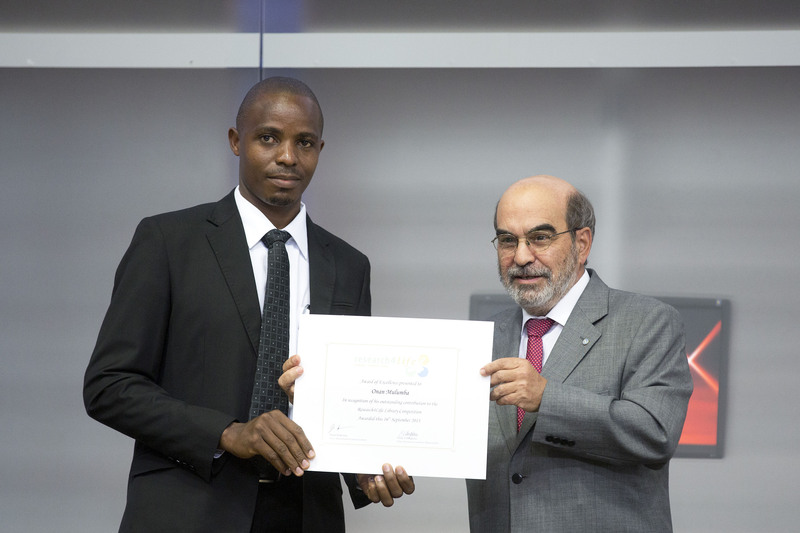 16 September 2013, Rome – AGORA, a programme that brings key scientific literature on food, agriculture and related fields to students, researchers and scientists, has become a crucial tool for some of the world’s poorest countries. Access to information is key to develop agriculture and ensure food security. Ten years after its launch in 2003, AGORA (Access to Global Online Research in Agriculture) now provides free or low-cost access to over 3 500 key journals and 3 300 books in food, nutrition, agriculture and related biological, environmental and social sciences. “Lack of access to knowledge is a major bottleneck for many poor countries to develop their agricultural sector and ensure food security,” said FAO Director-General José Graziano da Silva celebrating AGORA’s 10th anniversary in Rome.